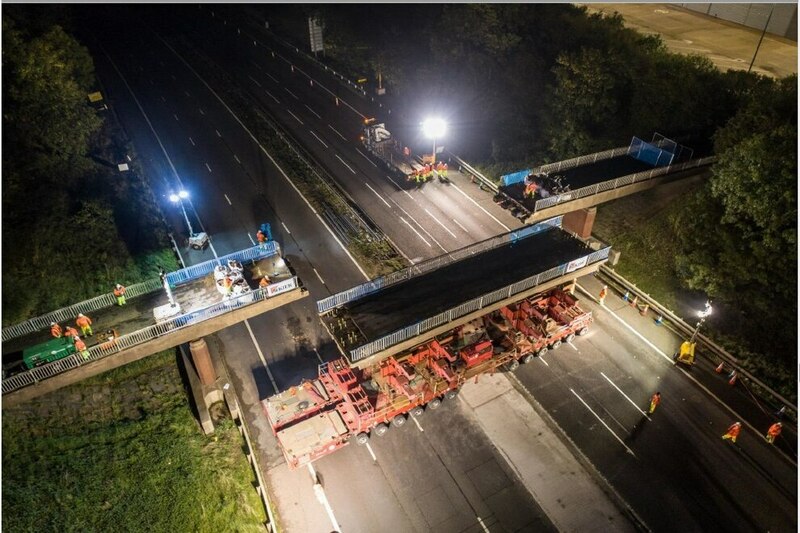 The M6 in Staffordshire was fully reopened this morning after an 11-hour overnight closure for a bridge to be removed. The operation to remove the bridge. Photo: Highways England. The section of bridge is lifted out of place. Photo: Highways England. 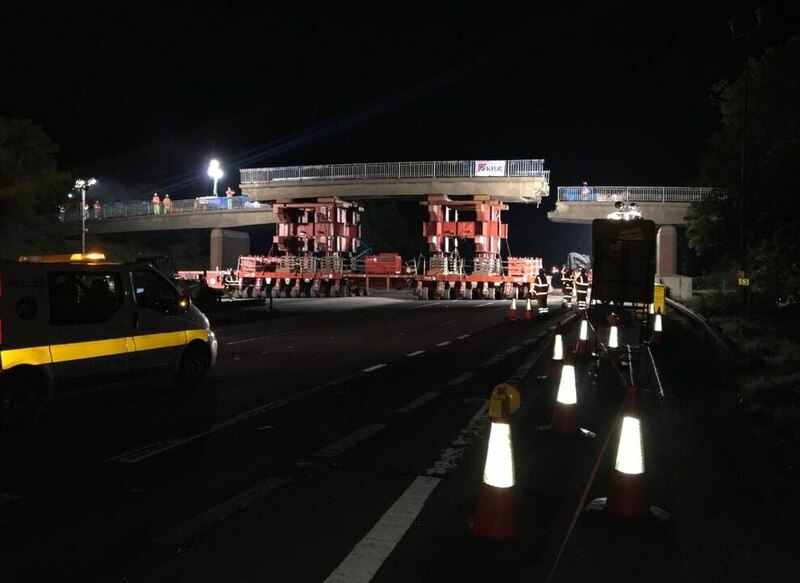 Work to remove the 800-ton, 250ft-long Creswell Home Farm bridge, north of Stafford, meant the section of motorway between Junction 14 for Stafford and 15 for Stoke-on-Trent was closed in both directions from 8pm on Saturday, with diversion routes in place. 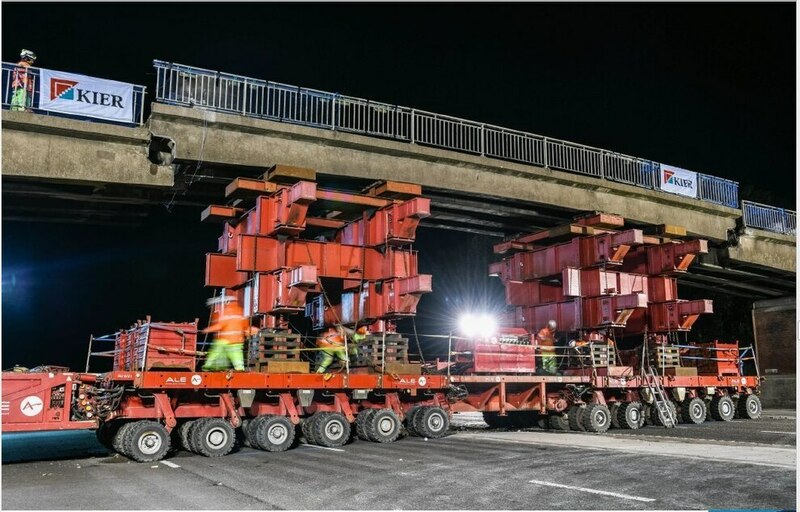 The bridge was no longer in use and was too narrow for the upgraded smart motorway being constructed, which will have an extra lane in each direction. 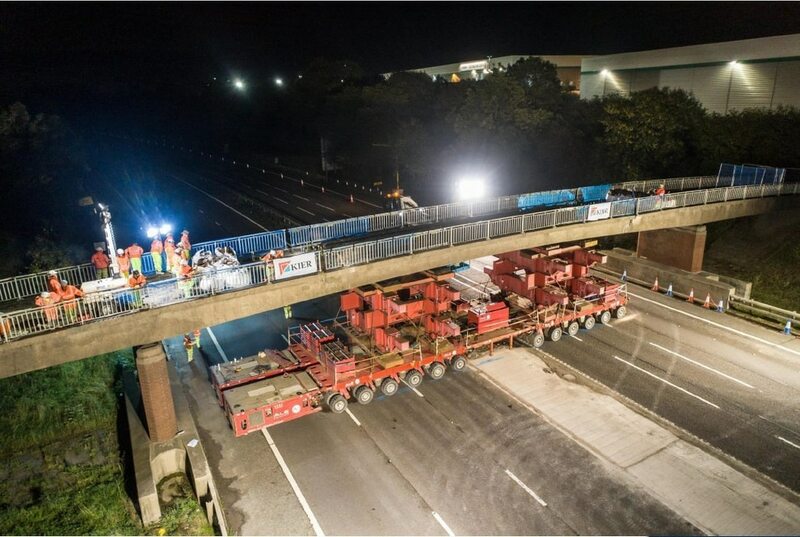 After being in situ for 58 years this is Creswell Farm Bridge on it’s journey down the M6. 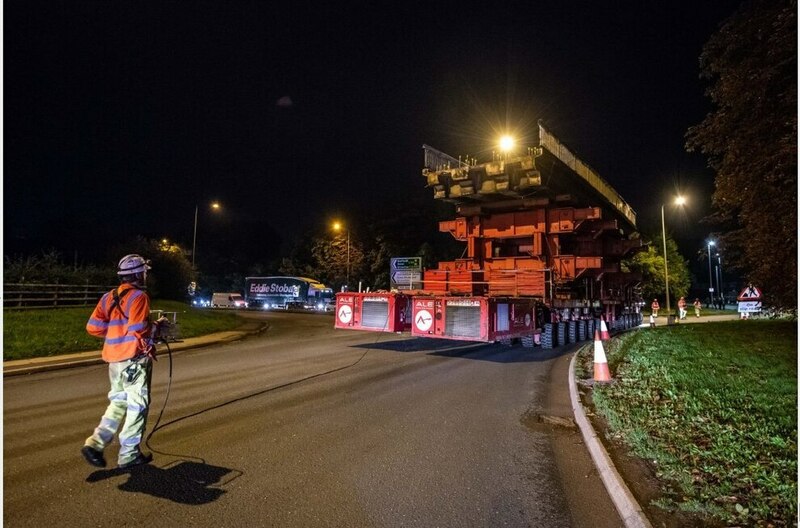 Motorists had been warned that the closure could last up to 24 hours depending on how the removal operation went but this morning police said had been completed ahead of schedule and the motorway reopened at around 7.30am. Highways England said two bridge 'piers' remain either side of the road over the hard shoulder lanes but that these "are perfectly safe to travel under and will be removed in the next few weeks".